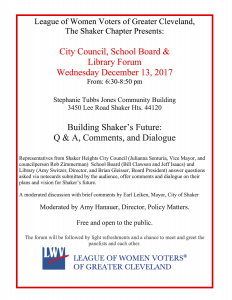 The Shaker Chapter of the League of Women Voters has endorsed the Shaker Library levy that will be on the May 8, 2018 primary ballot. 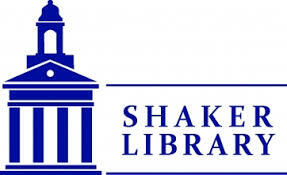 An additional tax for the benefit of the Shaker Heights Public Library for the purpose of current expenses at a rate not exceeding 1.9 mills for each one dollar of valuation, which amounts to 19 cents for each one hundred dollars of valuation, for a continuing period of time, commencing in 2018, first due in calendar year 2019. Se requiere un voto afirmativo por mayoría para su aprobación. Un impuesto adicional que beneficiará a la Biblioteca Pública de Shaker Heights con el fin de cubrir gastos actuales a una tasa que no exceda los 1.9 milésimos por cada dólar de valoración, lo cual representa 19 centavos por cada cien dólares de valoración, por un período continuado de tiempo, comenzando en el 2018, con su primer vencimiento en el año calendario del 2019. SHAKER HEIGHTS, OH – Mayor Earl Leiken delivered the State of the City address on Feb. 23 at the Stephanie Tubbs Jones Community Building, 3450 Lee Rd. 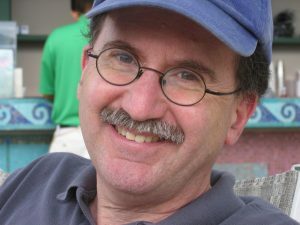 The event was presented by the League of Women Voters. 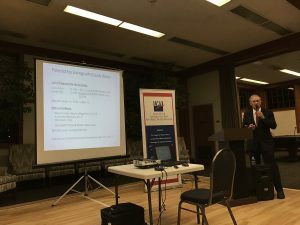 Leiken addressed developments in the Van Aken District, how the city is working to create an inclusive environment for residents and visitors, and general accomplishments by the city’s government over the past 12 months.